For the readers interested in disaster recovery in the Philippines, first an apology: I have yet to find someone who can blog for us. But I have kept an eye on the developments there. One of the most useful resources has been the Philippine Disaster Recovery Foundation. The he UN has, recently, asked the international community to help with urgent needs that remain in the area. Coconut farmers and fishermen, in particular, are struggling to get back on their feet. CARE has been working to help families re-establish themselves. In the meantime, The New York Times carried a story earlier this week about two families struggling to recover from the typhoon that is both touching and insightful. It’s cold! 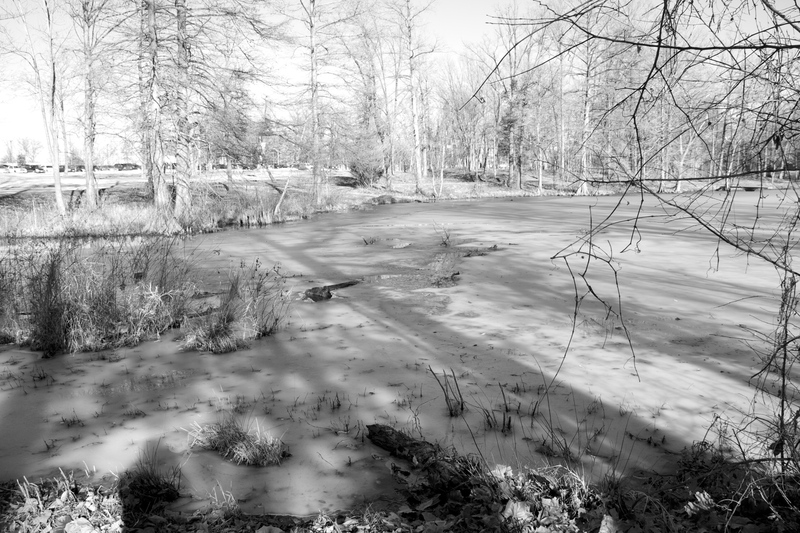 The photo that heads this post comes from my wintertime walks around the campus lake at Southern Illinois University in Carbondale… We, like so many others, are experiencing a very cold, icy and snowy winter (unusual for us that it should last so long!). We’re not the only ones, though! The Climate Depot has a page containing a whole lot of information about the cold so many of us have been experiencing. The health of the Gulf of Mexico is in the news again, with a link to agricultural practices in the midwest. Americanwaterblog.com provides a summary of some recent research that some of our readers will find very interesting. Here, by the way, is a link to the EPA’s page on hypoxia in the Gulf of Mexico. Colorado recently received Transportation Department funding for flood recovery. Gov. Hickenlooper has appointed a new recovery chief, Molly Urbina. Boulder County residents have more assistance coming — be sure to check out the story with information here. Logan has been writing about flood insurance issues of late. In the meantime, the Washington Post reported late last week that the Senate had approved a delay in increased flood insurance premiums. We’ll be writing about this some more, but for now we’d simply like to note that the legislation has the unfortunate name, Grimm-Waters Act, and you can read some more about it here. SCOTUSblog, a favorite of ours around here, is publishing a very interesting symposium on Utility Air Regulatory Group v. EPA. I summarized the case here.